Some like it hot and if you do, then this might be a book for you! Because it is HOT, isn’t it? 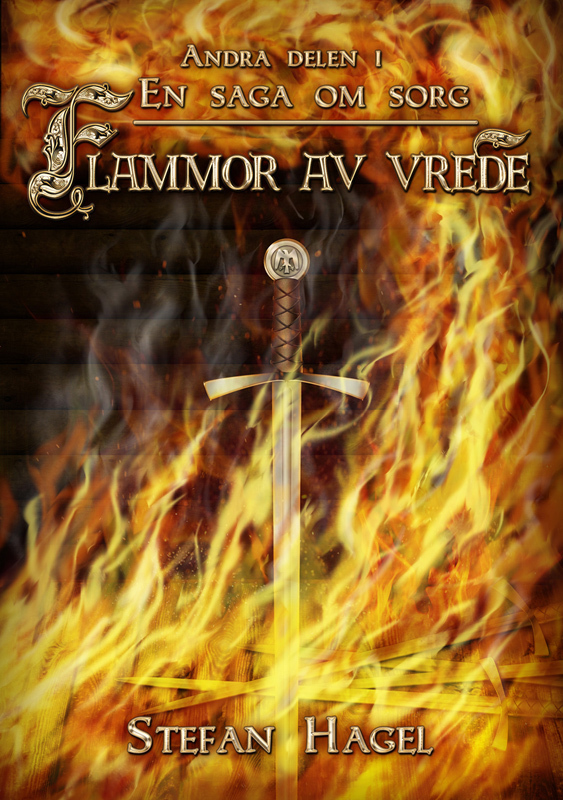 Stefan Hagel’s second book in the series En saga om sorg is called Flammor av vrede and it is hitting the shelves this autumn, published by Undrentide. This picture is almost completely hand painted in Photoshop = a lot of work, but so worth it when everyone involved likes the result. It isn’t entirely finished yet, I’ve yet to fill back and spine with flames, so I’ll post again when the entire cover is finished sometime closer to the book’s publishing. Until then check out Undrentide’s new webshop!